The decay editor that makes it possible to sculpt the reverb tails by setting up frequency dependent reverb times. There is also a powerful output equalizer integrated. Acon Digital Verberate 2 is available for both Windows (PC) and macOS (Macintosh). Both 32 and 64 bit versions are available, and the plug-in formats VST, VST3, AAX Native / AudioSuite and Audio Units (macOS only) are supported. Acon Digital Verberate 2 supports mono and stereo audio formats. Verberate Immersive 2 with surround support will be released in April 2019. Meanwhile, please consider purchasing Verberate Surround if you are in need of a surround capable reverb plug-in. 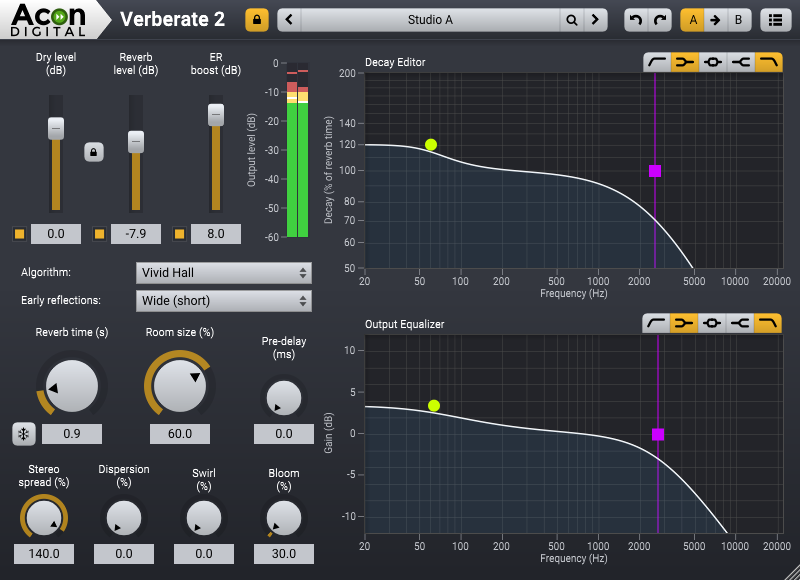 The upgrade to Verberate Immersive 2 will be free for customers who purchased Verberate Surround 1.x after March 1st 2019. 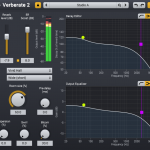 The upgrade from Verberate 1.x is free of charge if you purchased after February 20th 2019. Please send us a support message if you haven’t already received your license key per mail. Verberate 1 was nominated for the SOS awards 2015 in the effects plug-in category.